Before The Golden Age Was Consciously Golden (1947 Edition) | THAT'S ENTERTAINMENT! Welcome to the start of a new week on That’s Entertainment! 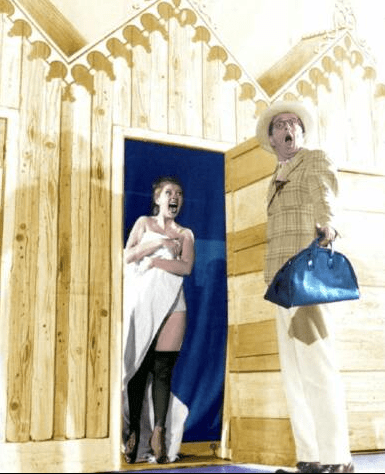 Today’s Musical Theatre Monday post continues a new series on musicals that came after Oklahoma! (1943), which is often, in hindsight, credited with ushering in the “Golden Age” of the American Musical (which, depending on whom you believe, lasted at least two decades). But interestingly enough, many of the shows from the first few post-Oklahoma! years are largely forgotten. Indeed, the period from about 1943-1948 IS “Golden,” but the shows are not yet conscious of that fact, many of them still struggling to adapt to innovations regarding book and score cohesion. Still, these shows feature excellent tunes introduced by excellent stars. We’ve already covered One Touch Of Venus (1943), Bloomer Girl (1944), Up In Central Park (1945), and St. Louis Woman (1946). Today we’re in 1947! 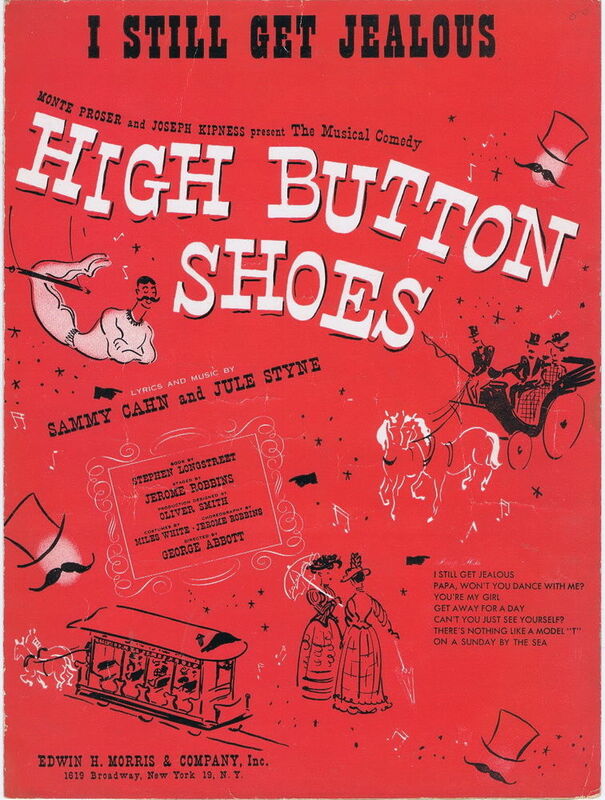 Another period piece, this time set in 1913 New Jersey, High Button Shoes boasts a glorious score — their first on Broadway — by Jule Styne and Sammy Cahn. 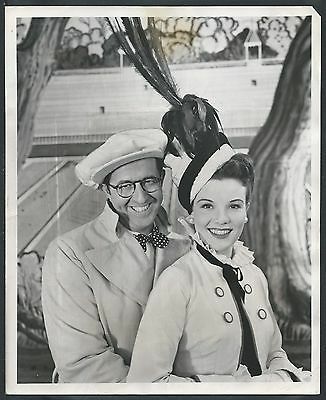 The book was written by Stephen Longstreet, whose autobiography the show was based upon, and the cast included Nanette Fabray and Phil Silvers. The plot concerns two conmen (played by Silvers and Joey Faye) who cheat the Longstreet family, composed of Mama (Fabray) Papa (Jack McCauley), their son, an uncle, Mama’s sister Fran (Lois Lee) and Fran’s collegiate boyfriend (Mark Dawson), in a phony land deal. The conmen escape to Atlantic City with Fran, who has become romantically involved with Silvers’ character, Floy. Hijinks ensue, climaxing in a big Rutgers football game. 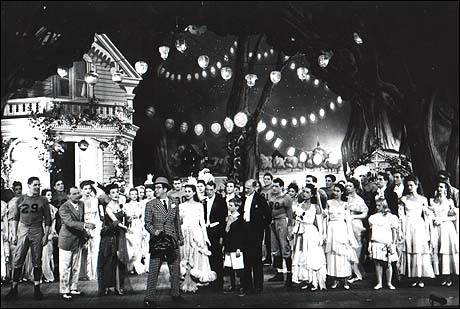 The ensemble have the jaunty “On A Sunday By The Sea,” which (though not recorded by the original cast) leads into the infamous ballet. Fabray’s big show stopper was “Papa, Won’t You Dance With Me?” in which she encourages her hubby to dance the Polka with her. Such fun! Silver’s show stopper was “Nobody Ever Died For Dear Old Rutgers.” If there are any sports fans out there reading — this one’s for you. The best tune from the score, however, is Fabray and McCauley’s “I Still Get Jealous.” It’s an utterly charming number about how they keep the flame burning in their marriage. With such big names involved in the original production, High Button Shoes deserves more attention from modern scholars. Especially with a score as joyful as the one provided by Styne and Cahn. I’m confident that one day it’ll see some sort of revival. Come back next Monday for a 1948 musical! And tune in tomorrow for the best from Season Five of Bewitched!